Back in September, my son Jonas was born. With him being our first child, we were overwhelmed by everything that was needed for him. 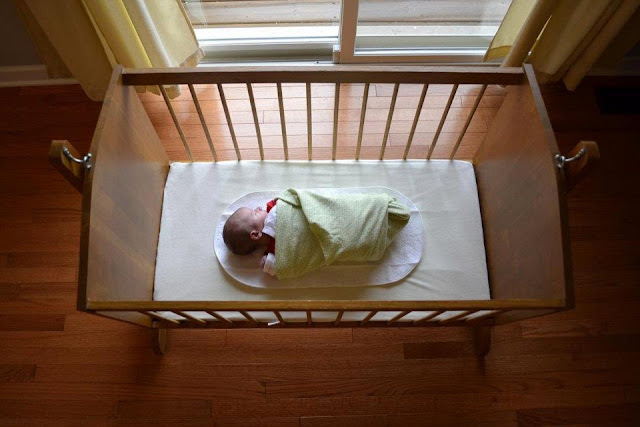 We had bought an amazing modern style crib for him but, in order to try and get him accustomed to day versus night, I wanted to keep him downstairs with me during the day. This caused a problem because there was no where for him to take a nap. 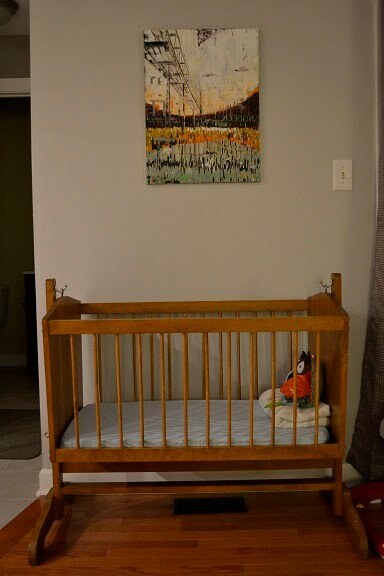 Enter my in-laws with a beautiful handmade oak cradle. Although it is not mid-century because it was made in 1980, it is of mid century styling. My husbands grandfather made it by hand for his grandchildren (we also have the kitchen table he made). 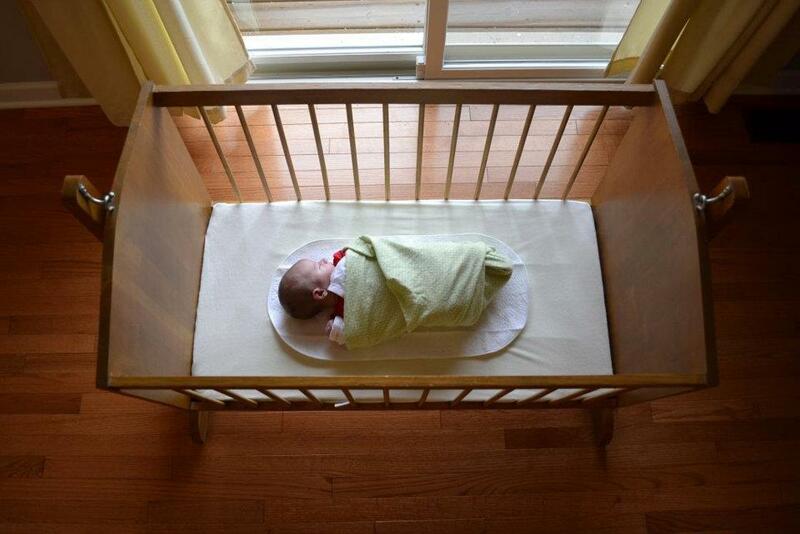 It was truely a blessing to be able to have our son use the cradle and is a beautiful piece of workmanship. Love the blog. I am a mid century "momma" too. My love of mid-century is a kind of rejection of all of the victorian furniture my Grandma, Mom and Sister adore. I cannot explain why I love it so much. Best to you and your family in the new year and keep the reports coming.